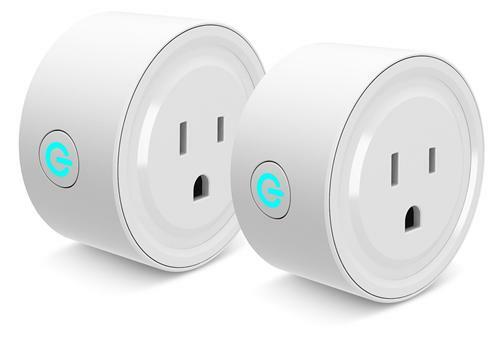 After decades of waiting, the smart home is finally a reality. We’ve been watching TV and movies our entire lives showing homes that respond to our voices and appliances that know their jobs better than we do. All of a sudden those things have moved from the world of fiction to the world of fact. In the last five years, smart homes have gone from “impossible” to “show it off to your friends” to “everyone has one.” It’s so fast that we barely have time to know how to use the power we’ve been given. The basic idea of the smart home comes from an earlier idea called the “Internet of Things.” Since the internet came into our lives in the 1990s, we’ve learned how to search for almost anything. Yet, for most of that time it was easier to know what the weather was in Bangkok than whether or not you had enough butter at home while you were shopping. The internet of things aimed to put network connections into practically everything, and enable you to interact with them in some basic way. Early attempts were more fun than necessary; most people don’t need a play-by-play from their washing machine. Eventually though, the technology started to make sense. By retrofitting things like light bulbs and outlets, you could begin to control the things in your home that mattered to you. By adding networking to simple devices like doorbells, your home began to feel more secure. Thanks to virtual assistant products like Amazon’s Alexa, it became easier to set up your smart home, too. …and we don’t talk about it much. Anything that’s on the internet can get hacked. There have been some security issues with Nest products in the past but for the most part they were minor. We haven’t seen a real security breach yet. Still, it’s just a question of when and not if, a major breach is going to happen. With so many different manfuacturers, sooner or later some bit of spyware is going to make its way into your smart devices. When that happens, cameras could record your every move and send the results to someone else. Your computer could be compromised, and in a worst-case scenario, your entire home could be held hostage, with none of your appliances working properly until you pay some shadowy figure whatever ransom he wants. Today’s smart home products can’t really get to this scary point yet. The connectivity options are just too simple. However, you know that’s just temporary. You’ll see smarter and smarter products and the cameras and memory will be upgraded to the point where a hack could be very scary. Will a guest network help you? Most routers today have the option to have a “guest network.” This is a separate Wi-Fi network that can’t see your computers or other home devices. It’s often set up with no password or a simple password so that people visiting the house can enjoy wireless networking without your giving them your master password. After all, you can’t be too careful. However, a guest network will not save you. There are two problems with using a guest network with smart home stuff. First of all your virtual assistant will need to be on the same network as your devices. Putting a virtual assistant on a guest network means isolating it from other devices on your regular network. It won’t be able to access the music on your computer, for example. More importantly, a guest network doesn’t really solve the real problem. Just putting the equipment on a guest network doesn’t stop it from connecting to the internet and that’s really the issue here. By putting devices on a guest network with a lower level of security, you may actually be making things worse. Start by only buying smart home products from reputable retailers, and brands you know. Make sure you’re using passwords that are hard to hack. Turn off devices like computers that store passwords if you’re not using them. Above all, pay attention to the news. Respond quickly to stories about hacked devices as they become available. There’s not much more you can do right now. Router, modem or switch — what is it?